Sport masters as a source of inspiration. Last week-end a Belgian tennis player, David Goffin, was for the first time in the final of a prestigious tournament : The 2017 Nitto ATP Finals aka “The Masters” in London. As such it is already a major event for a small country like Belgium. Not only David Goffin has reached the final round of this exclusive masters tournament, but in order to access it, he had to defeat the N°1 and the N°2 players in the world during the same week (Rafael Nadal and Roger Federer). This is exceptional and very inspiring for the tennis players around but this was not enough. Let’s have a look at the final game. First, David Goffin was almost ridiculed by Dimitrov in their first game during the same week. Dimitrov won 2 sets to 0 with a hard score in each set (6-0 then 6-2). Due to the nature of this tournament it was made possible for Dimitrov and Goffin to meet again, in the final. However all statistics and predictions were in favour of a Dimitrov victory, the audience has witnessed a tensed and thrilling moment provided by those two great Masters. 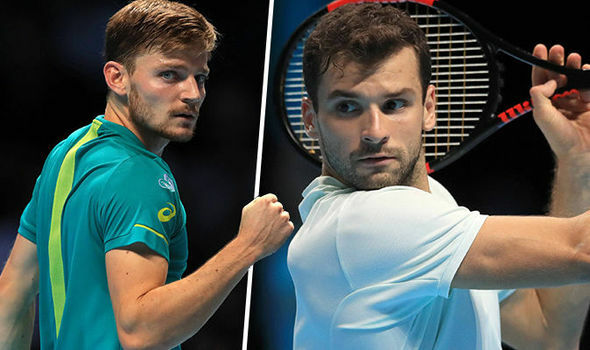 Dimitrov had thrashed Goffin for the loss of just two games only four days earlier in the group stage, but the Belgian proved a far tougher opponent in the final. Dimitrov had to recover breaks of serve twice in the opening eight games but moved ahead when he converted a fifth set point in game 12. After five breaks of serve in the first set, the second was a much tighter affair, with Dimitrov missing out on a potentially decisive break in game six after a Hawkeye challenge. So what Inspiration tip can we learn from this game of masters?